The short answer is yes, but to understand how stress can affect your health and the links between memory loss and stress, it may be helpful to look at the stress response itself and how it functions within the body. Experiences that are physiologically and/or emotionally challenging produce the state we think of as STRESS. The body's stress response is not in and of itself a bad thing. Rather it is a crucial survival tool and can be incredibly helpful in the right situations. 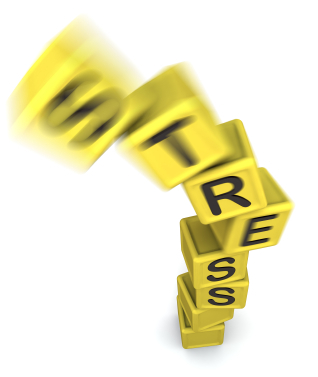 However, chronic stress damages the body and has serious effects on the mind. In fact, it is one of the major causes of memory loss and memory problems in otherwise healthy adults. How the body reacts to stress? Whether we are running for our lives, cramming for an exam or walking into a job interview, our brain releases the stress-related hormones adrenaline and cortisol to help our bodies cope in moments of acute stress. Adrenaline increases the heart rate and blood pressure, providing extra energy. This is what we think of as the fight or flight response. Cortisol increases glucose in the blood and shuts down certain non-essential functions like reproduction and digestion so the body has more energy for the task at hand. When the crisis is over, the body returns to its previously calm state and these hormones return to regular levels. All of this is well and good but when the crisis does not abate and we remain in a “stressed out” state for days or weeks on end, we have moved from acute (healthy) stress to chronic (unhealthy) stress. The stress response is intended to be an answer to short-term problems like being chased by a swarm of bees or rushing into battle. With chronic stress however, the body remains in this heightened state for prolonged periods and the stress hormones run rampant within the body. Among the common chronic stress disorders are a weakened immune system, ulcers and heartburn, impotence or infertility, flare ups of acne, psoriasis and eczema, a heightened risk of cardiac arrest and memory problems. How does chronic stress affect memory? Chronic stress affects both the encoding (saving) and retrieval (remembering) of information. When the brain is flooded with stress hormones for extended periods, we can suffer memory loss as well as reducing the ability to learn and store new memories. High levels of the hormone cortisol can be particularly damaging, interfering with communication between neurotransmitters in the brain, diverting energy to other parts of the body and inhibiting learning. The point at which cortisol and memory clash is in the hippocampus, which plays an important role in memory formation. This part of the brain is sensitive to excessive amounts of cortisol and over time, with no relief from the stress state, it can begin to shrink resulting in loss of memory and difficulty forming new memories. Reducing stress can, in most cases, restore brain function to its previous state including information storage and retrieval. Understanding how stress affects your health as well as the link between memory problems and stress is the first step towards making the necessary changes to fight against memory loss from stress. In her TED Talk, Dr Jamie Tartar, Associate Professor of Psychology from Nova South Eastern University uses humor and stories from her life to explain the impact chronic stress has on our brain...enjoy! How to reduce stress and improve your memory? Diet – Many of the foods recommended to combat the long- term effects of stress also play a part in improving memory. Among these are berries, nuts, fish and other lean proteins, fresh vegetables, green tea, hearty whole grains and dark chocolate. Brain Foods like blueberries, avocados and wild salmon are particularly good for memory boosting as they contain antioxidants and essential vitamins. Incorporating these powerful foods into your diet can help you reduce stress and protect your memory health. Physical exercise – Finding and maintaining an exercise routine that you enjoy can help you beat stress and improve your memory. Exercise releases endorphins which improves mood and cognitive function while reducing overall fatigue by promoting restful sleep. Whether it's a brisk walk around the block, joining a competitive sports team or taking up yoga at the local gym, getting physical is one of the best stress management strategies. Massage – Stop considering massage a luxury and start thinking of it as good medicine and natural stress relief. Studies have shown a reduction of stress symptoms as well as a decrease in the stress hormone cortisol immediately following a massage session. Whether it's a professional Shiatsu or Swedish massage or merely a friend rubbing your shoulders. 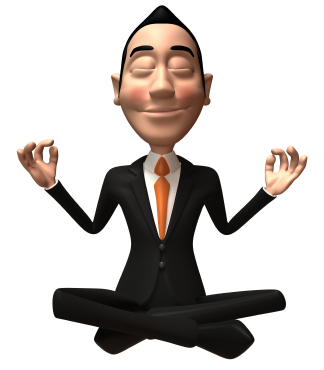 Breathing exercises – Deep breathing is one of the simplest techniques to relieve stress. It activates the body's natural relaxation response by sending a calming message to the brain. Practiced independently or in conjunction with yoga or meditation, 10 – 30 minutes of deep, measured breathing can greatly reduce the effects of chronic stress. There are many specific techniques available for learning and practice on the Internet. Find the one that is right for you. Mindfulness - The practice of Mindfulness comes to us from the Buddhist tradition but is not inherently religious and can be taught independent of Buddhism. In a nutshell, mindfulness is the practice of focusing one's attention on the moment at hand, experiencing and connecting to the world around us and “being fully present”. Practicing mindfulness stress reduction has the effect of clearing away the mental clutter for brief periods, giving the mind (and body) a break from the accumulation of stress we are so often mired in. Acupuncture – For generations, practitioners of Traditional Chinese Medicine (TCM) have used acupuncture as a method of relieving and coping with stress. Studies have shown that acupuncture releases endorphins and increases the mood elevating chemicals melatonin, serotonin and dopamine within the body. Like massage, it also provides a “time out” from daily stressors, allowing patients to relax and recharge. Vitamins and supplements – Vitamins A, B complex, C and E are the keys vitamins for stress management. Along with Omega 3 fatty acids, Calcium, Magnesium and Melatonin, these crucial vitamins will help your body fight the effects of long term stress, promote calm and improve mood.